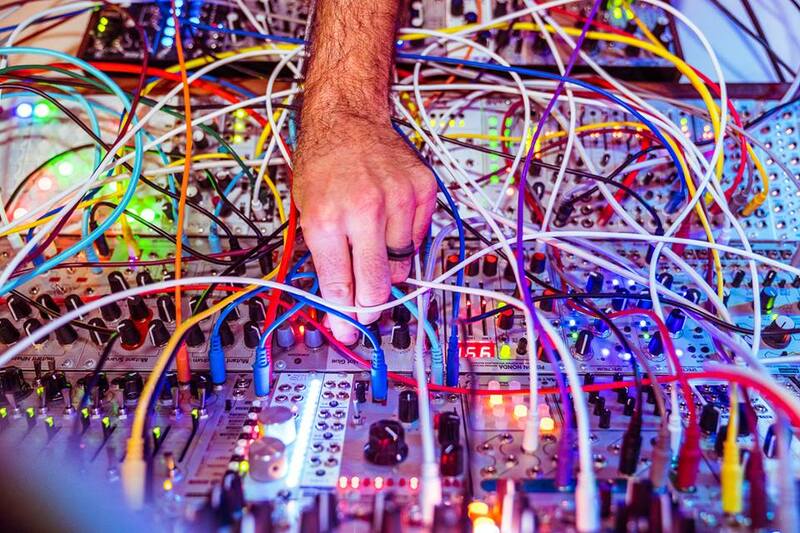 Joel Laviolette often plays Ecstatic Dance and Modular synth performances, and site-specific art installation pieces. Using a method he describes as “Live Composition”, Joel often creates full musical compositions live and on the spot-often using interactive techniques to incorporate audience input in the live creation process. His pieces often pull from various disciplines including traditional Zimbabwean mbira music, new-music, electronic dance music, ambient, sound design, and orchestral music. He often incorporates video projection mapping, light and digital art that are interacting in real-time with the music. Joel Laviolette is proud to be a Texas Touring Artist on the Texas Commission on the Arts Touring Roster. The Texas Touring Arts Program is designed to ensure that all Texans have the ability to enjoy performances by outstanding Texas-based companies and artists in their own communities. The Texas Commission on the Arts (TCA) provides grants to help with the costs of bringing in artists for performances. Contact Us to see if your event may be eligible for support through the TCA. 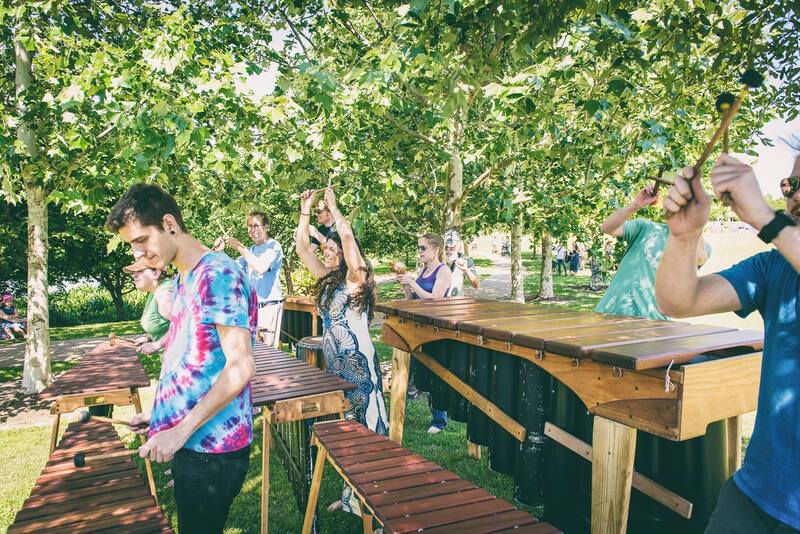 Led by Joel Laviolette, Rattletree is a must-see multi-sensory live show experience of electronic marimbas, bursts of color, guitars, drums, and ecstatic dance. 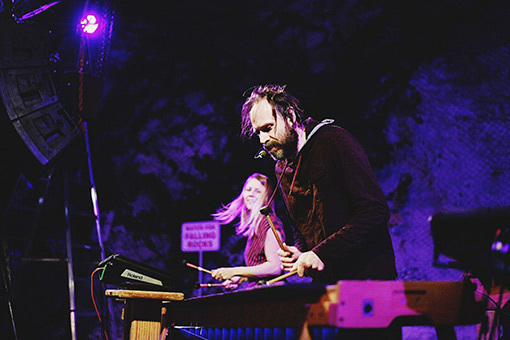 As seen on Jimmy Kimmel Live, and two-time winner of the award for Austin’s Best World Music Band, Rattletree has dedicated their lives to learning the ancient rhythms that have been handed down for generations to awaken the soul through the trance-inducing music of Zimbabwe. After spending years living with their teachers in the hills of Zimbabwe to learn their craft, they have been granted permission to transmit these rhythms to the world. By infusing these ancient forces with the intensity of modern electronic dance music-and over 1000 shows under their belt, Rattletree has created a must-see live show experience of sound, light, and video. Rattletree is proud to be a Texas Touring Artist on the Texas Commission on the Arts Touring Roster. Dance and sway with Kupira Marimba and let the music of Zimbabwe fill your hearts and souls! 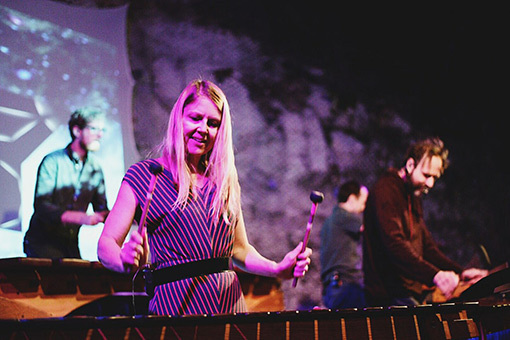 A full-sensory experience, Kupira Marimba’s high-energy joyful melodies are a foot stomping, heart pounding, hand clapping event for the whole family. Hailing from South Austin, the group has delighted audiences of all ages at the Austin City Limits Music Festival, UTOPiAfest, The Fader Fort, and many more. Their debut album “From Austin, With Love” was released in 2016. Kupira Marimba is proud to be a Texas Touring Artist on the Texas Commission on the Arts Touring Roster.